Niavgation!! Sunroof!! ONE OWNER CLEAN CARFAX!! 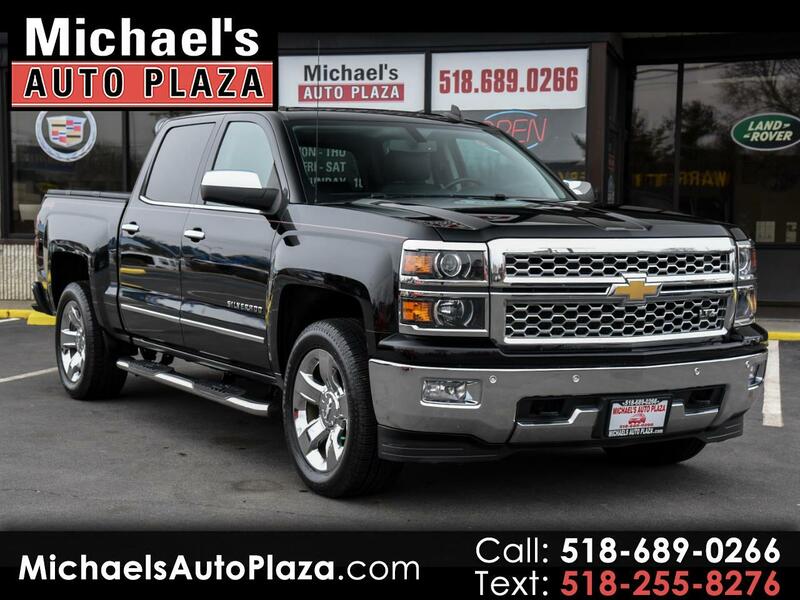 2015 Chevrolet Silverado LTZ Crew Cab. Black With Black Leather Interior. This Baby Is FULLY LOADED WITH OUTSTANDING FEATURES LIKE HEATED AND COOLED SEATS, BOSE STEREO AUDIO AND 20 INCH CHROME RIMS !! Also Includes Backup Camera, Sunroof, CD Player, Power Seats, Premium Wheels, Security System, 4x4, Traction Control, Remote Starter, Running Boards, Alloy Wheels, Keyless Entry, Power Locks And Windows, Rear Window Defroster, Side Curtain Airbags, Tilt Wheel, Trailer Hitch, Luggage Rack, Parking Distance Control, Anti Lock Brakes, Bluetooth, Cruise Control, Navigation, Power Mirrors, Premium Audio, Satellite Radio, Steering Wheel Control, Tinted Glass, Heated Steering Wheel, Memory Seating, Airbags, Adjustable Pedals and Heated Mirrors.